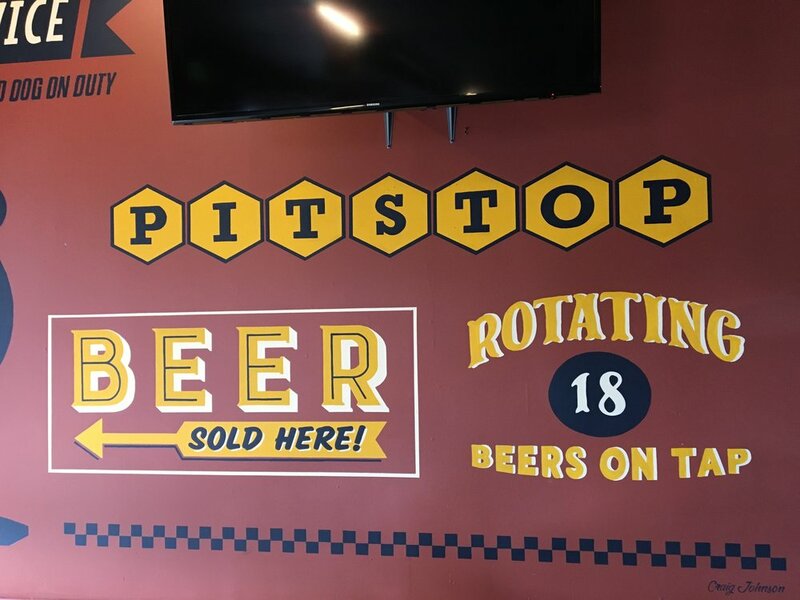 Mural project / Pitstop Tap House & Pub — JDC Johnson Design Co. 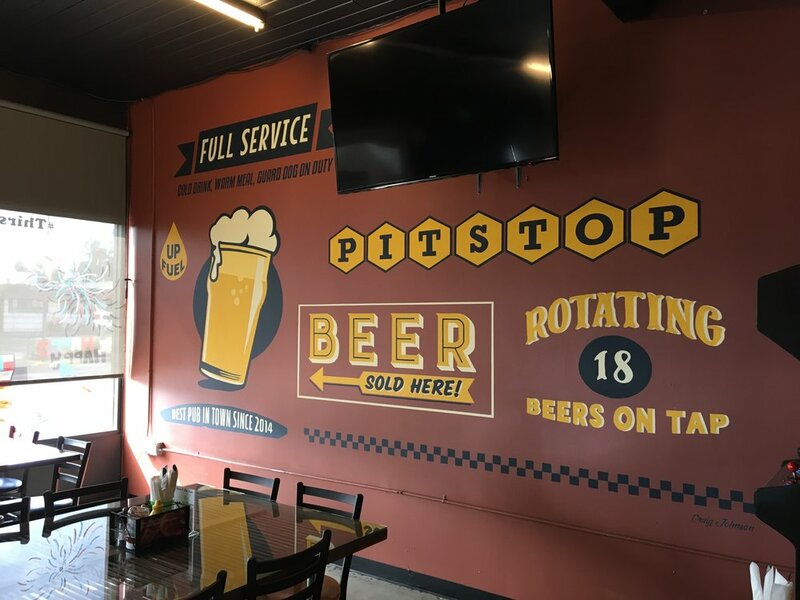 It was a great experience working with the Pit stop Taproom & Pub on their restaurants interior mural. Big thanks to the owners Joey and John for giving me the opportunity to design and paint the mural. The mural concept was designed to showcase the Pubs services while creating a garage style mood. The theme and style of the mural embodies the American gas station or Pit stop spirit. The mural consists of various styles of signage with a pint of beer for the focal point. If you’re in the Burien area, make a Pit stop at the tap house and get a closer look of the finalized piece. Rotating 18 beers on tap with a great selection of West Coast beers and ciders. Thanks to local sign painters Joe Nix & Sean Barton for giving me guidance with materials.